Swaach Vac is a sleek, powerful, upscale system, injection molded from hi-tech polycarbonate for a long lasting and durable, non-corrosive finish. Swaach Vac has one feature no other vacuum can duplicate, the ability to flush mount the system into a 2 x 4wall or into a cabinet. The patented design for flush mounting gives the finished look that all other vacuum systems lack. And installation is so simple; any homeowner can do it, especially our wall mount model which only takes four screws for installation. Regardless of the surface, Swaach Vacuums have the suction power to take in all the dirt even in dust-prone areas. The vacuuming experience created by the ultra-powered suction is one of a kind. As a company with a reputation to protect, our vacuum cleaners get the job done efficiently. 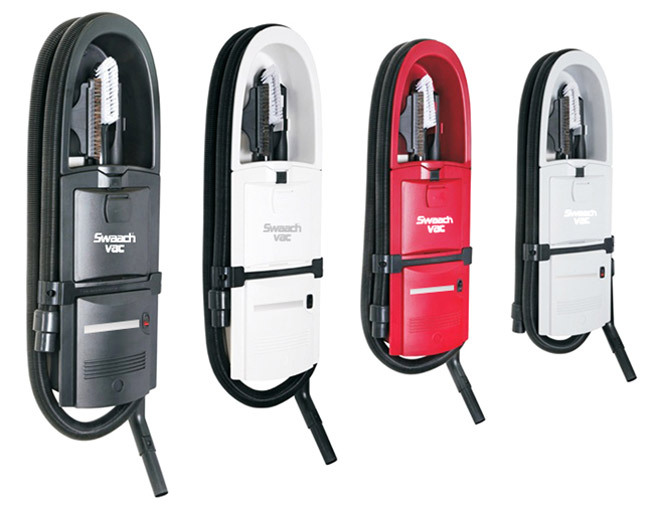 Swaach Vacuums have everything you need to clean anywhere and everywhere. You’ll have an expandable and retractable hose, brushes and a complete assembly of accessories to get the job done. Swaach Vacuums are easy to use. The accessories are all included to give you a unique experience. Extra attention is paid to the materials used in making all the accessories. We stand by our promise never to sell disappointing vacuum cleaners. Despite how stringent HEPA laws are, our vacuums are in accordance with all local and international safety regulations. We employed the best of HEPA type filtration to ensure that you don’t have to battle with allergens and dust. Don’t be bothered about the space needed to fix Swaach Vac into your shop, home, and office. We’ve built these patented vacuums in a compact and portable design to fit into anywhere. Imagine what you can achieve with a 40-foot hose, a lot right? That’s what we thought also. We provided a long hose to reach the deepest corners of your home and office. Interestingly, as long the hose is, it will shrink to 8’ and wrap easily around the power unit. Even if you have to clean the whole building everyday, the dust bag is large enough to accommodate the long for a long time before a change. We’ve ensured that you don’t need to change the dust bag after every use. You read that right! Whether you want a flush or surface mount, Swaach Vacuums needs just 10 minutes to be installed. More like a plug and use vacuums. There’s no extralong process of getting this vacuum into action. Weighing just 4kg, Swaach Vacuums can be used by anyone in the family. It’s not too big or heavy to be carried by your 10 years old. For more information visit the website www.swaachvac.com, or fill the form below for us to contact you back.